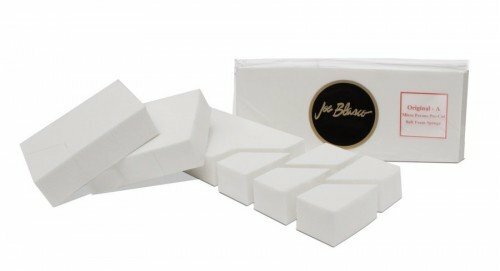 The Joe Blasco Ultra-Pro “Original Sponge A” is a high quality, non-rubber, hypo-allergenic, microporous, professional makeup artists applicator sponge. This sponge is used for cream, liquid, and powder types of makeup application. This sponge creates an ultra-smooth and exquisitely even application and can be used on all skin types. All Joe Blasco microporous sponges are used for both professional and society make up applications. 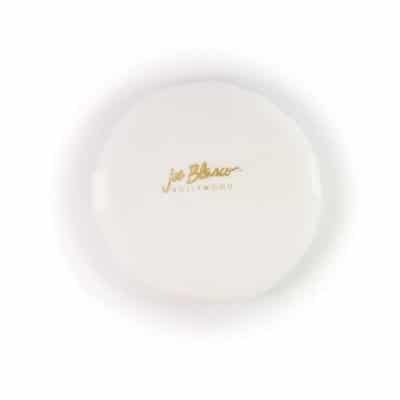 The Joe blasco Ultra-Pro Sponge “B” is a an extremely durable, finely textured, non-rubber, hypoallergenic, microporous professional makeup artists applicator sponge. This “B” sponge is used for all types of make-up application, but is more durable, more finely textured and longer-lasting than Sponge “A”. All Joe Blasco microporous sponges are used for both professional and society make up applications. A luxuriously soft, but durable, fine-textured velour powder puff for perfect powder application. Puffs can be washed and reused. They are a must-have for home and on-the-run powder application.